Yes, we did spend some time above water while in Dumaguete! 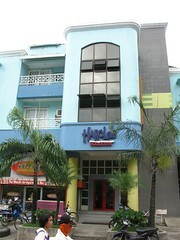 Probably the most popular guesthouse/hostel in Dumaguete City. The rooms are relatively clean, big, and backpacker rate. It has free wifi and 2 computers which you can use for free. Unlimited coffee and toasted bread with jam in the morning. But if you need protein, there are 2 eateries across that serves pinoy breakfast. 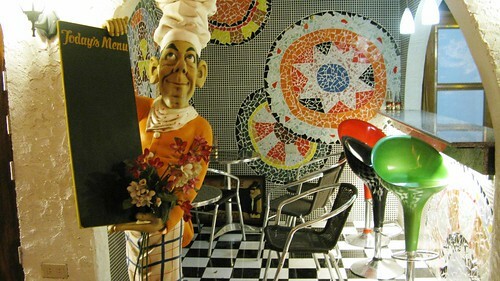 Good location as it is walking distance to the boulevard and various food places. It is good value for money. I just have to mention that your room will have balcony where you can hang wet wetsuits and clothes. We stayed there for 3 nights and only found out the day we checked out. Fun. A dive shop in the building of Harold’s Mansion run by the friendly couple, Snoopy and Percy. Snoopy is the most popular Pinoy dive instructor in town. With his prominent reputation, one would imagine an old man but he’s actually a guy just in his early 30’s. It is the most inexpensive dive shop in town with most personalized service you can imagine. I would recommend and dive with the same shop again . BUT having said that, I have to mention that I was very unhappy that we paid a more expensive rate than a group we know who dived on the same weekend. And they were only 4 divers compared to our group of 12. While I am at it, let me just put on record that we paid P2,900 for 3 dives. We dived for 3 days. No discount on bringing our own gear while Dumaguete Outdoors, Scuba Venture’s reseller offers P500/day discount for divers with own gears. 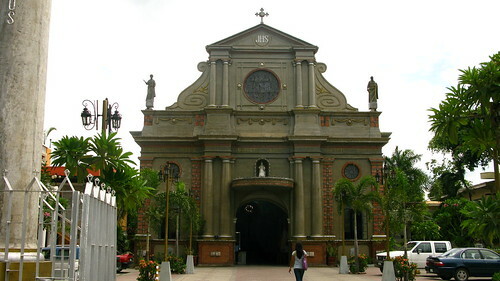 Also known as the Dumaguete Cathedral, this church and the belfry tower beside it is one of the most famous landmark in Dumaguete City. 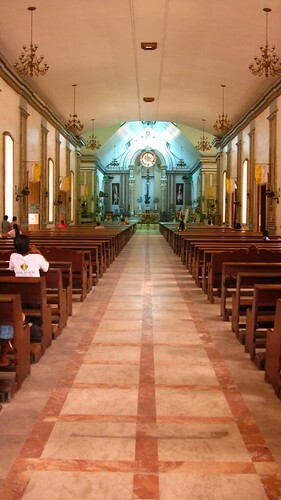 It was erected during the 17th century and was renovated in 1985. 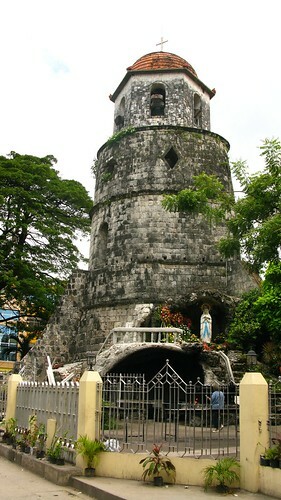 From the top of the belfry you can see the island of Mindanao, so in 19th century, this was used as a watch tower to warn locals of pirates and attackers. An open air restaurant with live band playing. It has a chillax ambiance with good food and cheap beer. It is located along the boulevard. 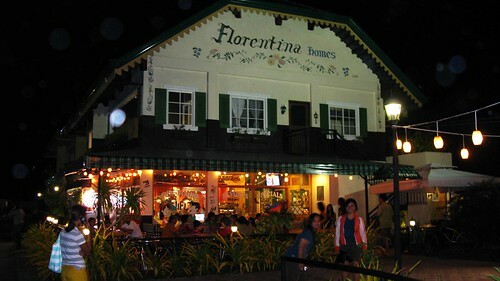 A festively decorated fusion restaurant, Florentina Homes Restaurant serves everything from pasta to Japanese bento box. (Doesn’t the name sound like a Funeral home rather than a restuarant?) 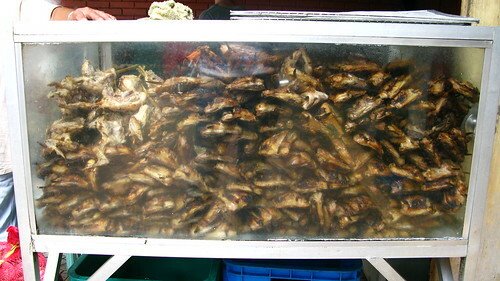 As expected, the food were so-so as with restaurants with no specialty, but it’s quite packed the day we were there. The service is also so slow, good thing we all lived to eat our orders. 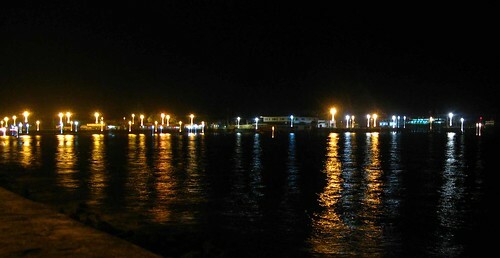 Romantic by night, the 10-block stretch of Rizal Boulevard is one of the busiest area in Dumaguete City. It is popular among lovers who kiss under the stars or joggers and chillaxers who just wanna hang out by the bay. 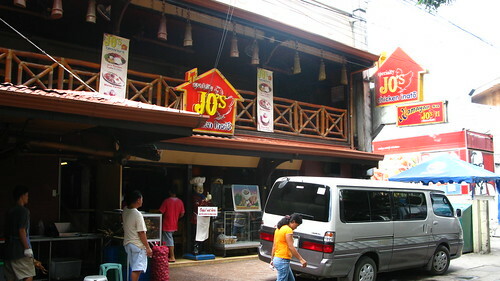 Our Fil-Am friend almost tailor his Philippine travel based on provinces where there are Jo’s Chicken Inato. This popular Visayan chicken chain has its roots in Dumaguete. My thought, hmmm, it’s good but it’s nothing to rave about. a definitive dumaguete account :-) galing! nice photos you got there! that chicken inato is very tempting! i think i've tried that somewhere in metro manila, but i'm sure nothing beats authentic chicken inato eaten right in dumaguete!